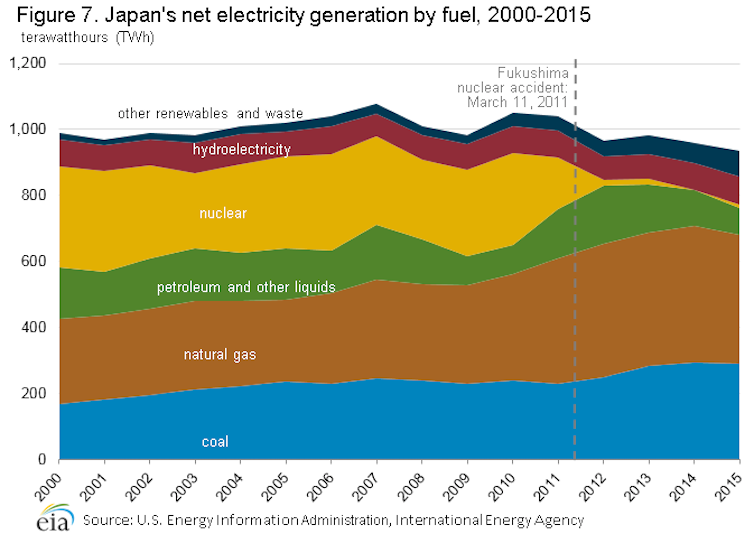 The flip side of the nuclear fiasco is that Japan is IIRC the only OECD country expanding its fossil fuel burn for electricity. This is largely because of the obsolete design of the electricity market, controlled by reactionary regional silo monopolies. Japan does not even have a synchronised national grid – Europe’s covers most of the EU. 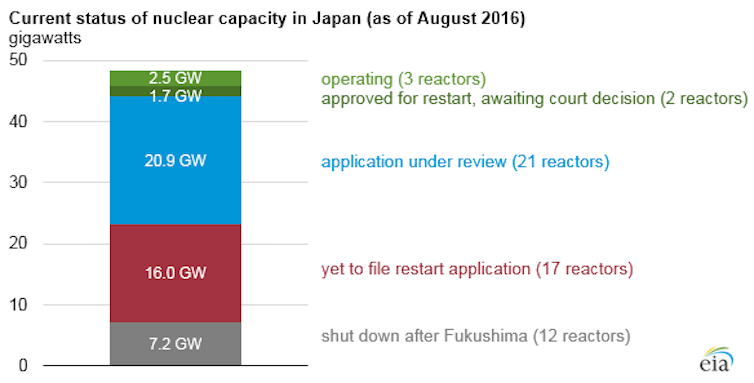 The response of the Japanese utilities to the nuclear shutdown is “if we can’t have nuclear, we must have coal”. There is talk of fundamental market reform, but it doesn’t happen. The situation is humiliating to Japan. Its electricity market structure is now way behind India’s, which has allowed the terrific boom in solar – coming from projects launched in a competitive market by hundreds of different generating developers. Only market reform will unleash Japan’s potential for renewables. Announced with big words and celebrated by all European atom nations the post-Fukushima stresstest actually never happened in France. ALL 20 atom reactors of the modern 1300 MW class (the predecessor of the EPR) are not earthquake-prove says EdF, they only found out recently. The cooling system of the emergency generators won’t survive a strong earth quake. 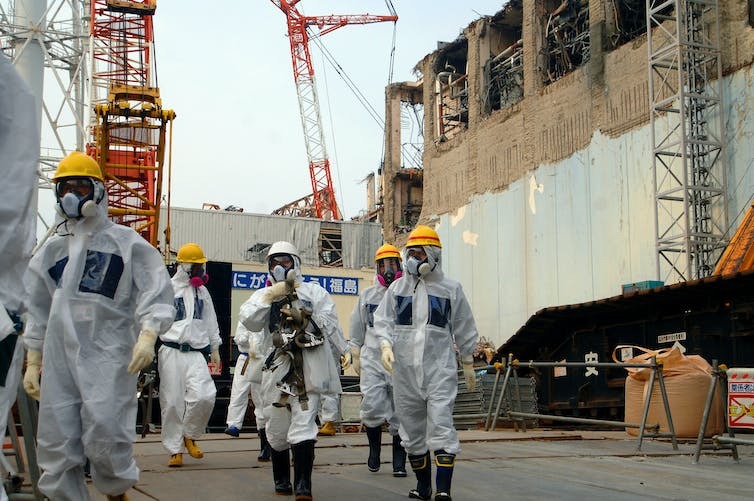 The atom safety authority ASN classified this as an incident class 2 on the INES scale. Since there would be a major and long lasting black out all over France if taken these reactors were taken off-grid they keep them operating.